A destination that offers something for everyone. Riders and non riders alike can slot into the laid-back way of life in the foothills of Mt Kenya. Choose to stay at Borana lodge for the week and with 32,000 acres of unspoiled wilderness to explore, you’re guaranteed fresh views and a new experience every day. 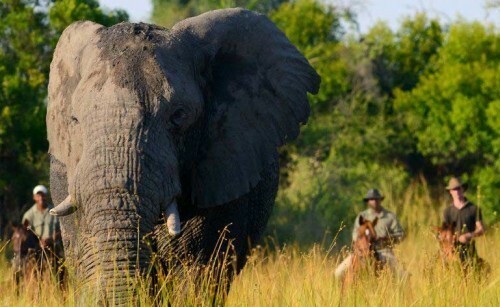 Home to the Big 5 and an abundance of other diverse and often endangered wildlife, ride amongst great herds of game, admire the expansive landscape and take in the snow capped peaks of Mt Kenya, come away feeling truly enriched. You may also opt to spend a night in a fly camp set up just for you within the conservancy. 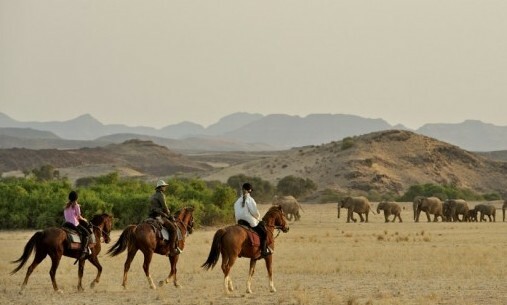 Tailor made multi-day riding safaris lasting from one to eight days can be arranged starting and ending on Borana and offer the ultimate riding experience. There are a variety of itineraries to choose from and you will have the opportunity to cross some of Kenya’s most beautiful landscapes. Visit the high altitude lakes of Mt Kenya or gallop down dry river beds further north; include riding up to endangered rhino on Borana; or explore the Lolldaigas. Experience nights in a minimalistic fly-camp paired with cosy nights in comfortable lodges. 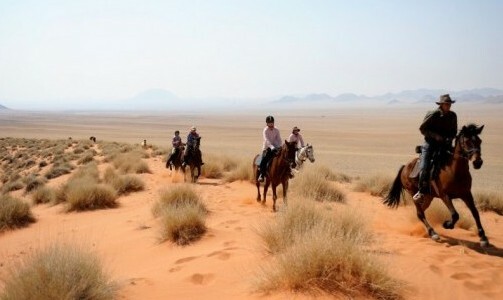 Non-riding group members will not be missing out and can arrange to take part in a wide range of activities. Borana has enough to entertain the whole family. Highlights include, game drives, guided walks through the bush, spending time with the armed anti poaching unit, visits to a local Maasai village or sundowners on Pride Rock, the original inspiration Pride Rock in Disney’s lion king. 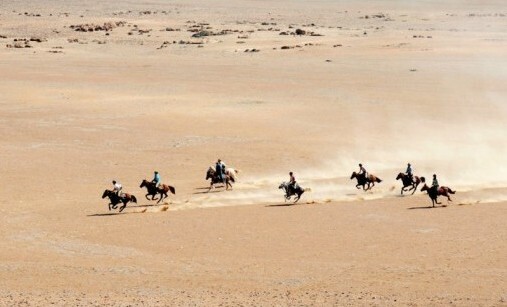 Riding Level dvanced level for cross country safaris. 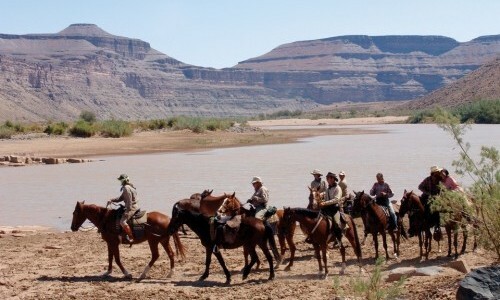 For lodge based guests there are horses to cater for all riding abilities. 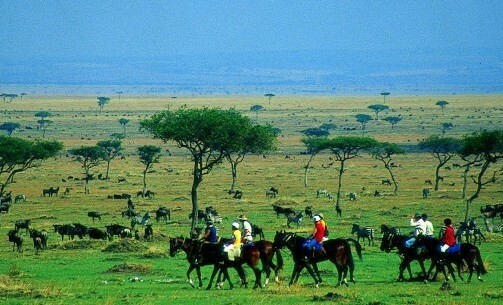 Borana Conservancy is situated north of Mt Kenya in Laikipia. The conservancy plays host to an impressive array of wildlife that includes Africa’s Big 5 and provides secure and important habitat for many endangered species. It also boasts one of Kenyas most successful Rhino sanctuary’s. The Conservancy is dedicated to the sustainable conservation of land and wildlife and all retained earnings from tourism and other commercial enterprises contribute towards the support of communities, wildlife and it’s habitat. Your stay here will act as a direct contribution to safeguarding the future of endangered wildlife in Kenya. This truly is travelling with a purpose. Mountain Ride Please note that this is a sample itinerary, depending on which ride you choose from. And it will be different should you choose to be lodge based for the duration of your stay at Borana. Day 1 - Borana Arrive at Jomo Kenyatta International Airport (JKIA) - transfer to Borana. 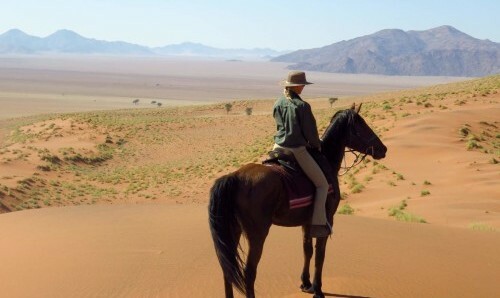 This will either be via private charter or on the scheduled flight to Lewa Downs. Get introduced to your noble stead and head out for your first evening ride. Overnight at Borana Lodge. Day 2 - Borana Wake up on a glorious African morning and the birds singing. Ride out of the stables with a picnic breakfast packed in your saddlebags, ready for the day's adventures. Spend a relaxed lunch and afternoon back at the Lodge. 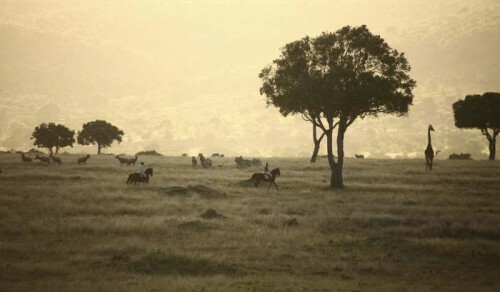 In the afternoon, enjoy a game drive or walk on Borana. Overnight Borana Lodge. Day 3 - Ngare Ngare Leave after breakfast and ride east through Borana down to the Ngare Ndare River. Overnight fly camp under the stars. Day 4 - Kisima Ride through the famous Lewa Wildlife Conservancy with an opportunity to see rhino from horse back. Saddle bag lunch en route to Kisima – the family home of the Dyers. Long riding day. Overnight Kisima. Day 5 - Lake Rotundu Leave Kisima early after breakfast and ride up onto the moorland. Picnic lunch on the mountain, riding in to the log cabins at Lake Rotundu. Overnight at Rotundu. Day 6 - Lake Rotundu Try your luck fishing at Lake Alice. Another lovely ride over the moorland. Overnight at Rotundu. Day 7 - Kisima Ride back over the moorland and into the rosewood forests of Mt Kenya to Kisima House. Visit the flowers or the farm in the afternoon. Overnight at Kisima. Open all year round. Enquire for set-departure dates. The lodge is situated on a beautiful hillside with panoramic views throughout. 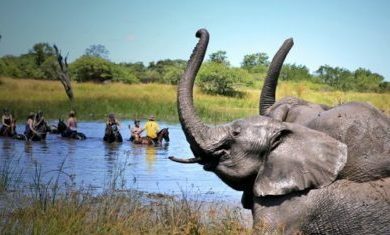 An infinity pool allows you to relax while watching Elephant and other game make their way down the the dam below. 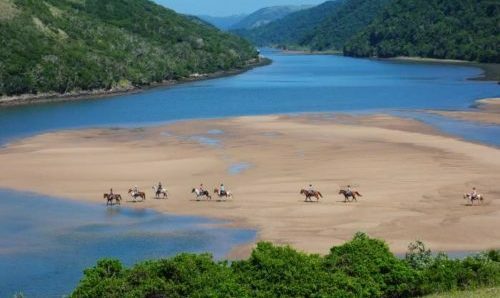 There are four stand alone cottages and two family suites to choose from. Each with their own spectacular view; one with its own private plunge pool. Lunch is provided buffet style in the pavilion above the pool. All rooms and cottages are close to the main area of the lodge with a cosy sitting room and bar and the dining room where drinks and dinner are served in the evening.